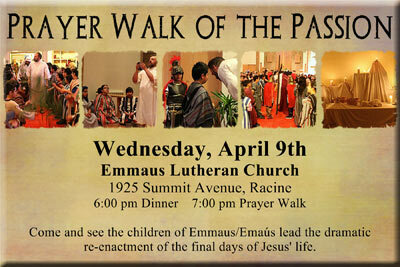 On Wednesday evening, April 9, the Wednesday before Holy Week, all FaithWorks congregations and friends are invited to Emmaus Lutheran Church, 1925 Summit Avenue, for the children-led Prayer Walk of the Passion. 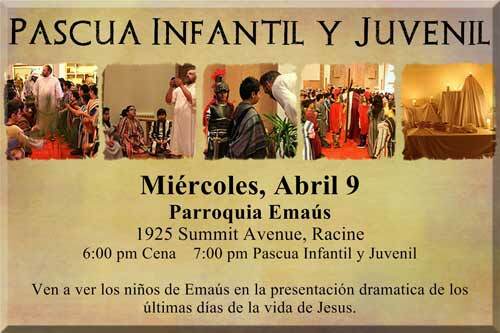 After dinner, served at 6:00, the children will reenact the final days of Jesus’ life. The dramatic presentation begins with Jesus’ triumphant entry into Jerusalem and ends with a moving representation of the empty tomb. Previous Previous post: Breakfast — for Dinner!